Eddie Ray Routh's legal team should focus on his other disorders, experts say. Now that the "American Sniper" murder trial has been handed over to the defense, accused killer Eddie Ray Routh's lawyers are tasked with showing that it was his psychological problems and not his alleged PTSD that are to blame for the double homicide. They have already laid out claims about the former Marine's mental health -- highlighting the prescription pill bottles in his house and having his mother testify that he appeared more paranoid after going on a humanitarian mission to Haiti – but now they must make the case that Routh was legally insane at the time of the shooting. And in doing so, they have to stick within Texas’ narrow legal definition of insanity. Claims of post-traumatic stress disorder were at the center of the case originally because that is the reason why former Navy SEAL Chris Kyle and Kyle's friend Chad Littlefield arranged to go with Routh to a gun range in the first place. 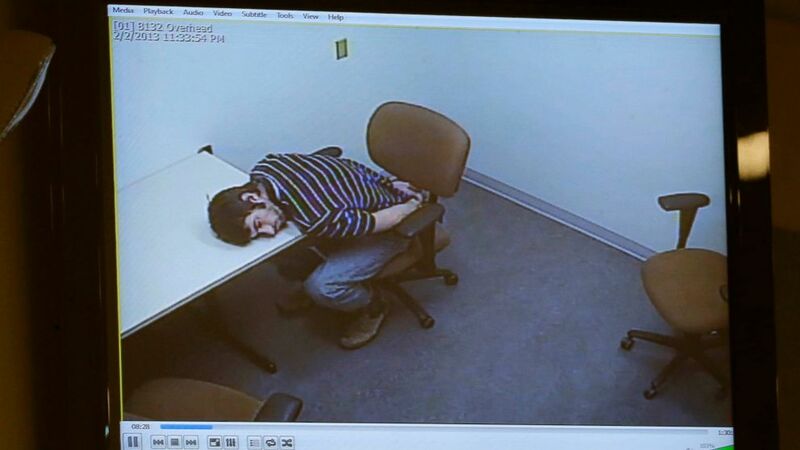 But experts say the connection between PTSD and Routh's actions are not strong enough for the defense to hang its case on. According to the Diagnostic and Statistical Manual of Mental Disorders, PTSD can occur after exposure to trauma and symptoms include recurrent, intrusive, distressing memories. Notably, the formal definition of PTSD does not mention psychosis but does explain that patients suffering from the disorder may hallucinate and have delusions, go through dissociative states that lead to a complete loss of awareness of their present surroundings, or be short-tempered and paranoid. Dr. Harry Croft, a psychiatrist who has not treated Routh directly but has evaluated more than 7,000 military veterans suffering from PTSD, said that he does not believe the murders were "primarily" the result of Routh's alleged PTSD. "Did he have PTSD? Maybe, maybe not. Do I believe that having PTSD caused him to murder these two people? No," Croft told ABC News. "It's possible that he was also psychotic and it's possible that there were some core personality issues that may have caused problems here," he said. (Rodger Mallison/Star-Telegram/AP Photo) Prosecutors play the tape of the police interview with former Marine Cpl. Eddie Ray Routh at his capital murder trial at the Erath County, Donald R. Jones Justice Center in Stephenville, Texas, Feb. 16, 2015. As such, the defense has not only been addressing Routh's time in the military and the emotional scars it allegedly left him with, but also the more tangible, documented medical issues he had on Feb. 2, 2013, the day of the murders. During his opening statement, defense attorney Tim Moore described how Routh began acting particularly strange the night before the murders. He had spent the evening with his girlfriend Jennifer Weed, proposed marriage to her and then quickly became paranoid, Moore said. "He was seeing things, he was hearing things," Moore said. "He was telling her not to talk out loud to write things down on paper because people were listening." Weed is expected to be called to testify, but another woman who knows Routh well was the second defense witness to be called Tuesday afternoon: his mother Jodi. Jodi Routh said that her son, who grew up as a "good kid" came back changed from his time in the military and had violent outbursts, in addition to one incident where he was suicidal. At one point during her testimony, she described how she had pleaded with the Veterans Affairs hospital to keep him in its care but that hospital officials didn't listen. Aside from simply showing that Routh may have had mental issues, one of the biggest hurdles facing the defense team is that Texas has a particularly narrow definition of what constitutes insanity. Texas Tech University law professor Brian Shannon explained that while Texas law mandates that in order for a defendant to qualify, it has to be clear that the individual did not know that his conduct was wrong, whereas other states "have broader language, such as whether or not the individual could appreciate the wrongfulness of his or her conduct." "Just showing medical diagnoses of mental illness is just part of the equation," Shannon told ABC News of using an insanity defense. "The defense also has to prove that because of that the defendant didn't know that his conduct was wrong." The percentage of felony defendants pleading insanity was 0.9%, according to a 1994 study. And the acquittal rate of cases using the insanity plea varied dramatically depending on the state, ranging from 0.26% to 87%, according to a 1999 study. While the defense is trying to prove that his medical problems existed long before the shooting, the prosecution presented footage from inside the police car after he was arrested, arguing that Routh began setting up his defense shortly after the incident. ABC News legal analyst Dan Abrams said the crux of the case will come from whether or not the defense is able to separate Routh's alleged violent actions before the day of the murder from his mental illnesses. "That's a little microcosm of the case right there, which is the defense is saying, 'Focus on the mental illness.' The prosecution is saying, 'Focus on the violence and alcohol and drugs,'" Abrams said today on "Good Morning America." Dr. Katharine Maglione, a resident in the ABC News Medical Unit, contributed to this report.